European medical schools come up a lot as an option that some of my students are considering. 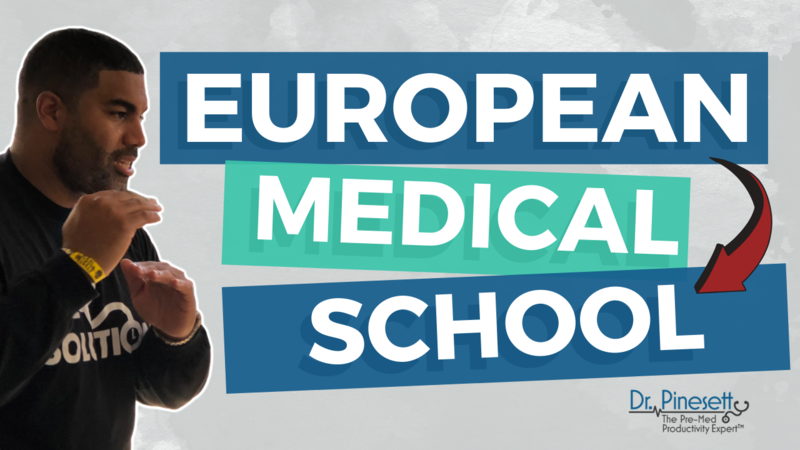 [VIDEO] – Are European medical schools a good option? The long and short of it is that you don’t want to go to a European medical school if at all possible, because in America, for better or worse, we are bourgeois - we have high standards for medical graduates, and to have the best chance of getting a great residency, you’ll need to go to a U.S. medical school. With that said, it doesn’t mean that all European medical schools are out of the question. 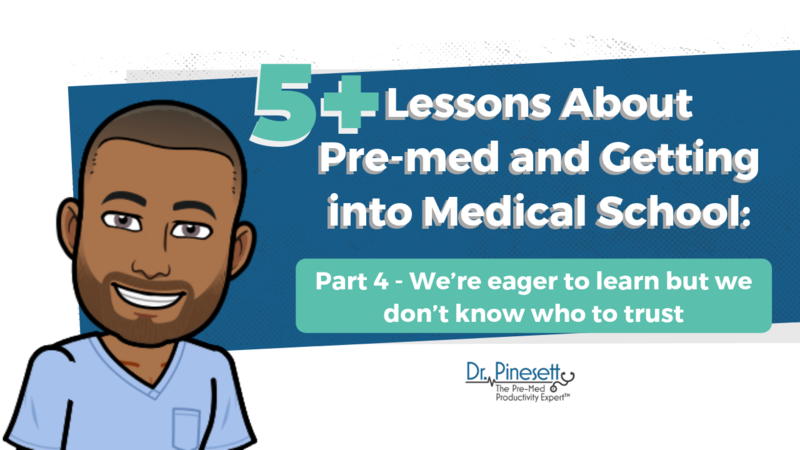 You are just going to have to do your research if you are seriously considering one, and make sure that you’re going to be able to use your medical degree from that school in the state that you plan on practicing in. 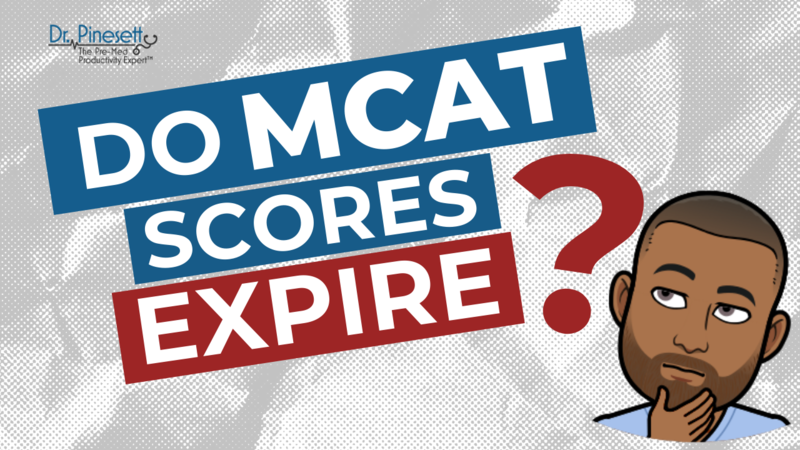 So, a big question that many students have is whether or not MCAT scores expire, and if they expire when do they exactly? Technically they never expire, but in the eyes of medical schools they absolutely do! The reality is that most med schools won’t consider MCAT scores that are any older than 2 or 3 years max. Many schools are set at around 2 years – so what does this mean for you? Well – here’s a big tip, you NEVER want to take the MCAT until the rest of your application is fully ready for submission! Otherwise you put yourself at risk of getting a great score on the MCAT and then having to wait over 2 or 3 years before you can apply to med schools and not having that score considered. A few students have asked me if they can reuse their MCAT passages if they are close to “running out” of them. The short answer is: yes, but the long answer is that if you are running out of questions, you probably aren’t utilizing your MCAT questions to the maximum potential. My approach to the MCAT incorporates question based learning so that you increase your score not just by going through questions, but reviewing them thoroughly and effectively so that you understand what you got wrong or right and why. Are you blissfully ignorant about medical school? Ignorance is bliss - but that bliss comes at a cost. If you’ve seen the movie, “The Matrix” you remember the scene with Agent Smith and Cypher - where he’s eating a steak in the matrix and knows it’s not real, yet admires how pleasant it tastes. Meanwhile in the “real world” - there’s a lot of hardship, struggles, and battles that his friends are facing. They’re going through a lot of turmoil, but at the end of the day they get to know and understand reality better than anyone else. And most importantly, they are genuinely free as human beings. While the people who are stuck in “the matrix” are really weakened and enslaved as a result of their ignorance. Can you get into med school with a low GPA? So you feel like you messed up in undergrad and got a low GPA, maybe around 2.8 or even lower. Does that mean that your dreams of being a doctor are gone forever? 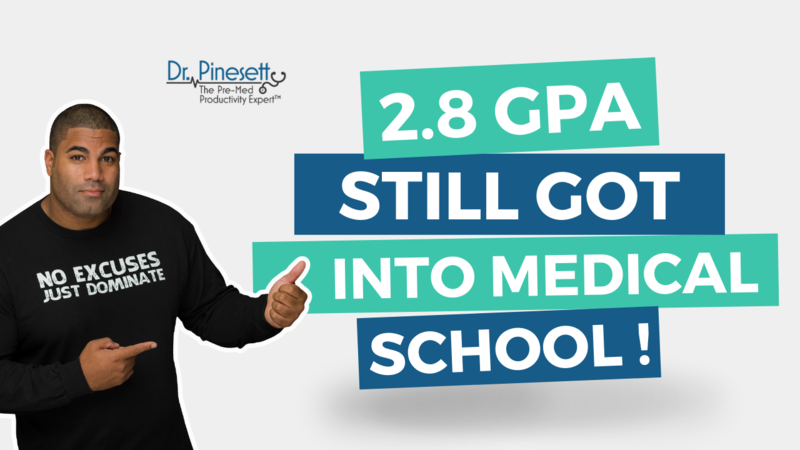 As you’ll see, your doctor dreams are still perfectly intact if you want them to be - even with a low GPA - but you’re going to have to work your tail off to raise your GPA. A better question is - are you willing to put in up to 4 years of work to fix that low GPA to get into med school? If you’re willing to do that, then you should continue. 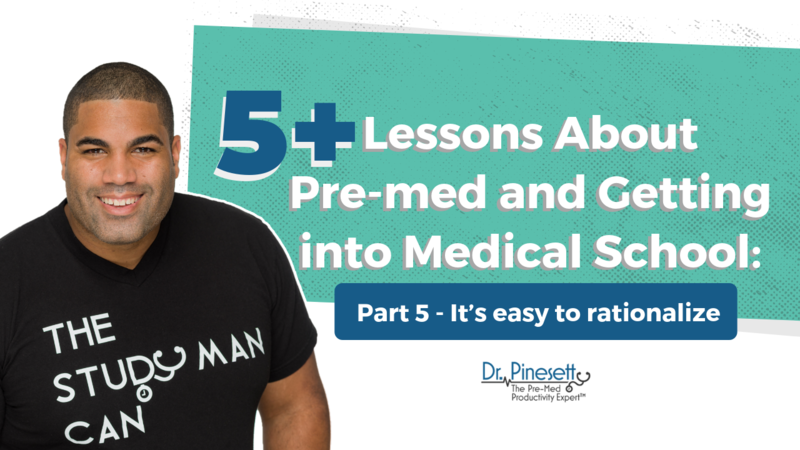 It may take up to 4 years, it may take even longer, but by taking as many courses as you need to raise your GPA, and taking other steps to strengthen your application and score competitively on the MCAT, you’ll eventually get to med school. 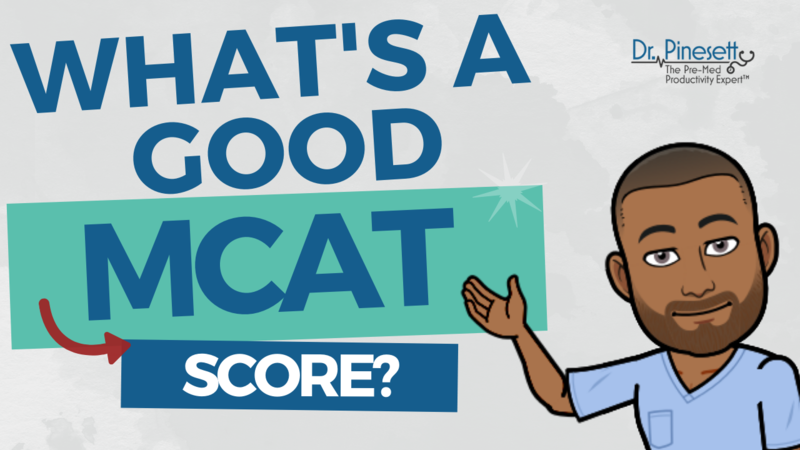 If you plan on taking the MCAT in the future, you’re probably concerned about what you need to score at minimum to ensure that you’ll be considered by your favorite medical schools. First, you need to understand what medical schools are doing with your MCAT scores. Med schools have minimum mandatory cutoffs - you need to meet this cutoff score to even be looked at. 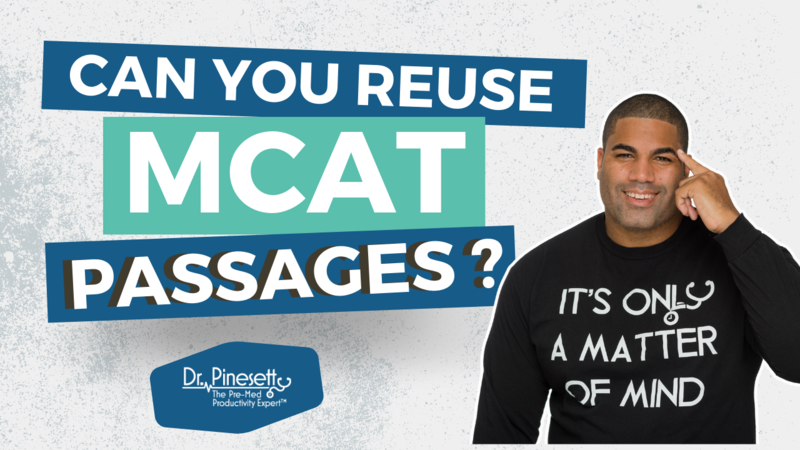 For most schools, the MCAT cutoff is in the 504-505 range - that is what you need to score at minimum to ensure that your awesomeness will be considered (extracurriculars, personal statement, GPA, etc.) Lower tier schools might be slightly below this for their cutoff, say around 502-504. 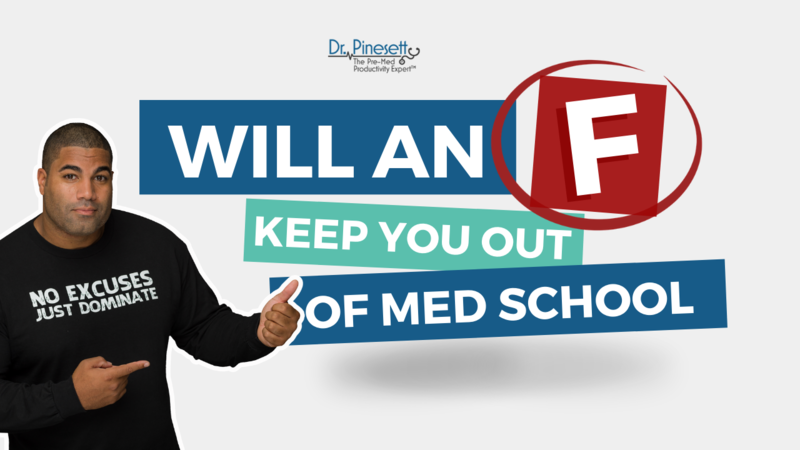 I’ve had a few questions from some students who have been concerned that their med school dreams are hopeless now because they got an “F” or “D” early on in their premed careers. A lot of them feel like there’s literally nothing they can do to overcome it, but in this video I explain that you absolutely can! Because I did it - I overcame an “F” that I got freshman year because I didn’t take my calculus course seriously. If you did a similar thing - you still have a chance to make it - but you’ll need to start making some drastic changes in how you do things. People sometimes feel that I’m abrasive, harsh and that I’m one-sided about things. We rationalize what we do when we don’t invest. It’s not about buying a course. How many of you don’t spend on time working on yourself? How many of you know that you have glaring weakness but don’t put in any time to work on it because you rationalize? It’s super easy to justify and rationalize your inability to do what’s required of you - whether it’s in investing in yourself monetarily or in terms of time or in the analytics. I have a student who told me that he takes the time to analyze what he does every semester - and that was how he got better at studying. He’s investing in himself by analyzing himself and being critical at himself. He smiles in his face, wait until he turns around and laugh at how stupid he’s been. How do you give a hundred percent? How many of you are eager to learn how to be better, in whatever way it is? 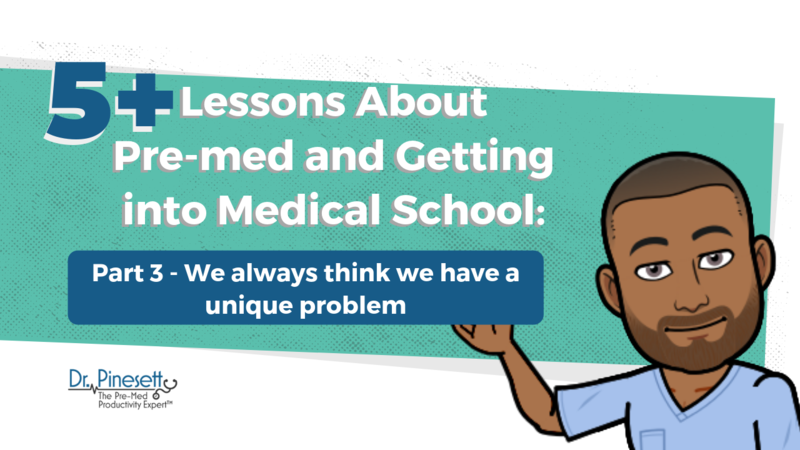 You’re eager to learn how to get into medical school. You’re eager to learn all these things in your life but you don’t know who and what to trust when it comes to information. Who feels that way? It’s hard to know who to trust in this day and age because it’s so easy to play the role. It’s so easy for people to say, “Hey, trust me” and throw up a fancy website and video like they’re legitimate. It’s so easy for someone to tell you, “Hey, I’m a dean, listen to me”, “Hey, I’m a learning specialist, listen to me”, “Hey, I’m your paid counselor for the university for 25 years advising students, trust me.” It’s hard to turn away from them. Have you ever felt like you’re all alone with the struggles you’re going through - that no one else has ever experienced the challenges you have faced as a premed? Although that feeling is perfectly normal, it can make it harder to find the help that you need to overcome your problems and reach out for guidance. Everyone thinks that their problem is unique, that their situation is something that no one else has been through or it is something that nobody has ever encountered before. We’re scared to ask out loud. But, guess what: your problems are not unique. You have money problems? I did too - my financial problems were always on my mind as a premed, I was broke most of undergrad and didn’t have the money for basic things sometimes like books.